Steve Javie knew how to control a court. Today, he’s providing insights into officiating on TV. Turn on an NBA game and you might get some officiating insights from Steve Javie. The former referee serves as an officiating analyst for ESPN/ABC, giving insights into not only why certain calls were made, but also why certain calls weren’t made. Javie retired from making the on-court calls after the 2010-11 season – after 26 years of blowing the whistle and earning a reputation as one of the best officials in the NBA. He officiated more than 200 playoff games, including more than 20 NBA Finals games. Javie didn’t start down a path toward basketball officiating. Although he was a multisport high school athlete, baseball was his first passion. 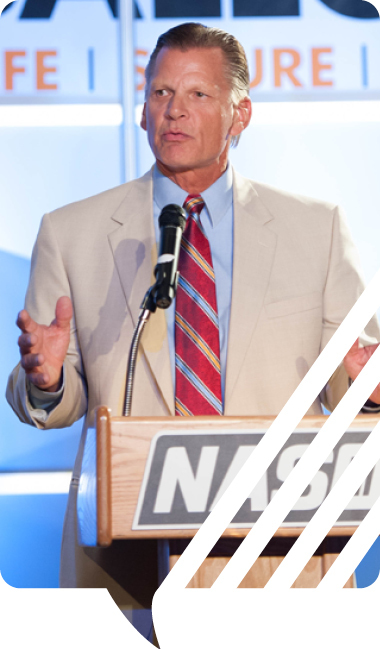 He played on Temple University’s baseball team, earning a business administration degree in 1976. He signed with the Baltimore Orioles as a minor league pitching prospect, but was released after one year after suffering an arm injury. He then shifted from player to umpire, attending pro umpire school and working in the Florida State League for nearly three years. In the off-season, he worked high school basketball games. An invite to an NBA camp for prospective officials opened the door to work in the Continental Basketball Association from 1981-1986, and then the NBA from 1986-2011. Officiating runs in the family – his father, Stan Javie, worked in the NFL from 1951 to 1980 as a field judge and back judge. He started the Javie Foundation for Charity, raising money for homeless, disabled, abused and neglected children. Javie officiated Michael Jordan’s final game in the NBA. 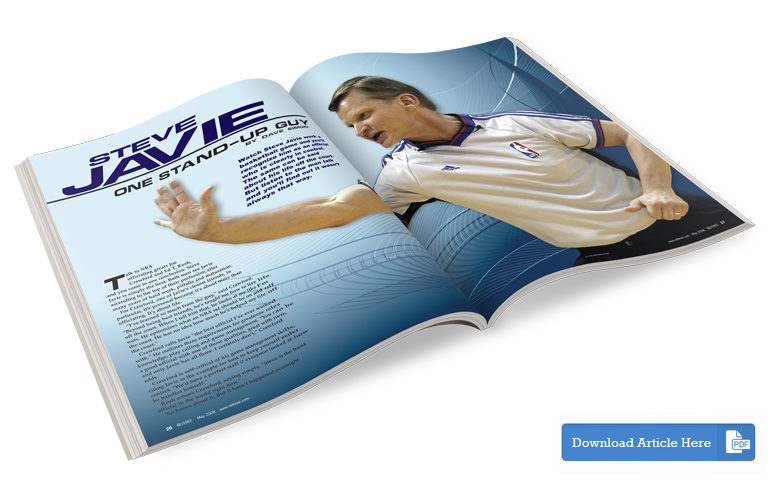 Steve Javie appeared in a feature article in the May 2008 issue of Referee Magazine.